"Creating Spaces That Are Perfect For A Family Gathering"
We specialized in Stone Crafted Fireplaces that are known for adding warmth, beauty and style to the decor of the your living room or exteriors. Each stone fireplace is an original, finely worked, unique, marked with the personal style of our expert craftsmen. Our wide range of Fire Places are art pieces that add an elegant aesthetic value to the surroundings. Available in varied designs and patterns, these exhibit the rich craftsmanship of our experienced craftsmen. Further to offer more choices we extend customization facility to create a Fire Place perfectly complimenting your style. Add warmth, beauty and style to the decor of your living room, with our outstandingly styled stone Fireplace Accessories which provides the perfect atmosphere for social interaction, and watching the dancing flames is a primal and sensual experience. It offers you warmth, ambiance and an inviting focal point in a home. 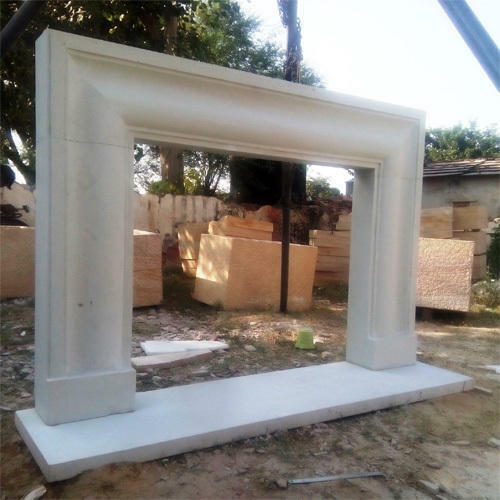 This auspicious range of Stone Fireplace Hearth has been specially carved to ensure good heat coverage of the area that you want to warm, as well as visibility of the hearth for the sake of providing an attractive viewing experience for your family and friends. With the use of this remarkable fireplace it has become ever-easier to maintain a comfortable indoor temperature. Another masterpiece on our list is, Fireplaces Surrounds that are evolved from our highly devoted team and creative artisans in mesmerizing designs and patterns. Our expert team shows perfection when it comes to minute details while crafting. 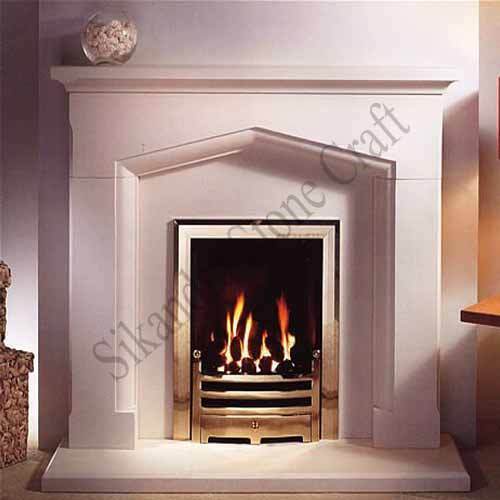 Besides, apart from this these fireplaces are available at pocket friendly prices suiting our customers requirements and budgets equally. We handle an expert team in Carving Fireplaces Surrounds that mesmerizes our art lovers around the globe. These are made from finely polished stones marbles and featuring impeccable designs and patterns beautifully filled with soothing colors. As there would not be nothing more relaxing than sitting in the front room with fire burning with embers popping. 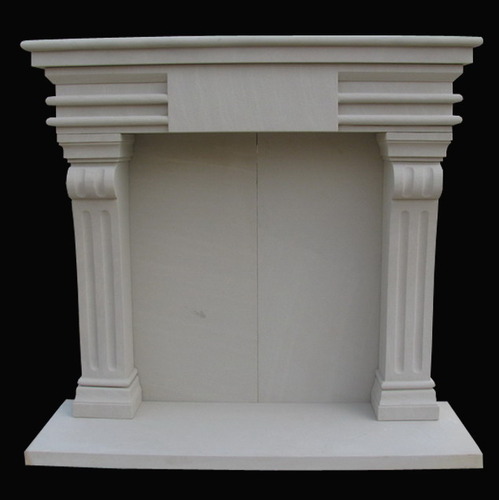 This is a Decorative Fireplace which is appreciated by most of our customers globally. It has been gracefully carved in Roman style which is unmatched in dignity, style and charm. 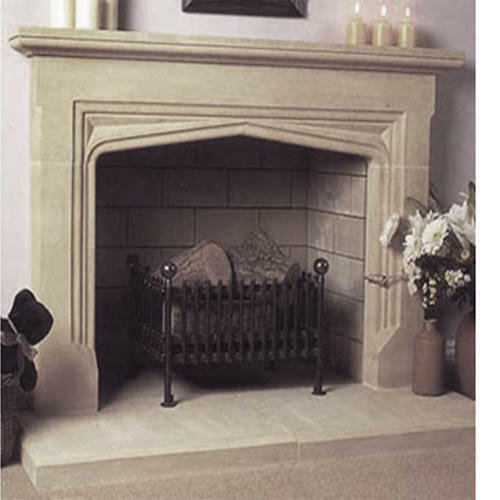 Made from highest grade of stones, our fireplaces are extremely attractive and have perfect finishing. When most people think of fireplaces, Indoor Fire Place are the only things that come to mind. 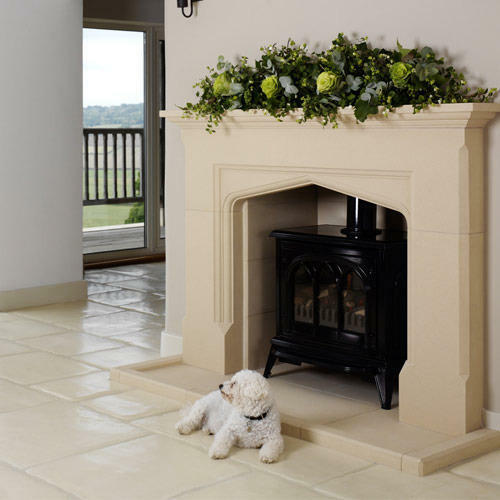 These inlay fireplaces can be installed in the drawing room to endow a modish & lovely look. These fireplaces are truly owner's prized possession. It gives you that high degree of standard and satisfaction that you have always wanted. It comes with its own set of necessary safety precautions so that you don’t have to worry about anything. 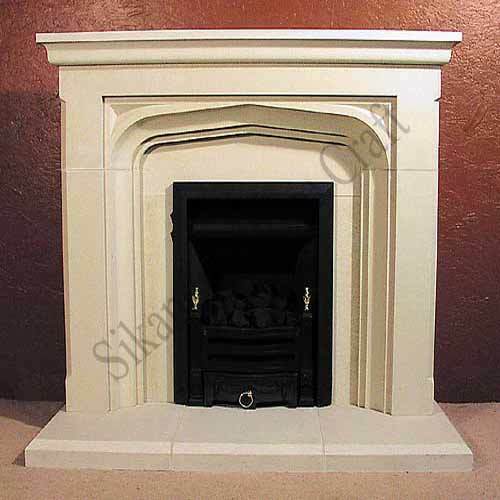 This Stone Fireplaces is beautifully carved with an excellent color combination. This special class of fireplace was introduced keeping in mind delightful design and extraordinary beauty of sand stone color. 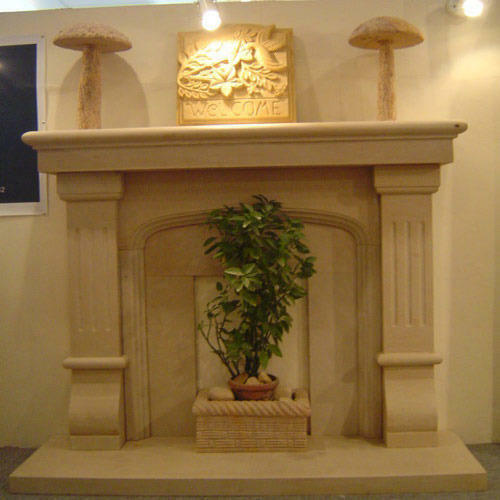 These fireplaces are socially acceptable and are used prominently in high class architectures. We offer them at a relatively inexpensive rate from the market. 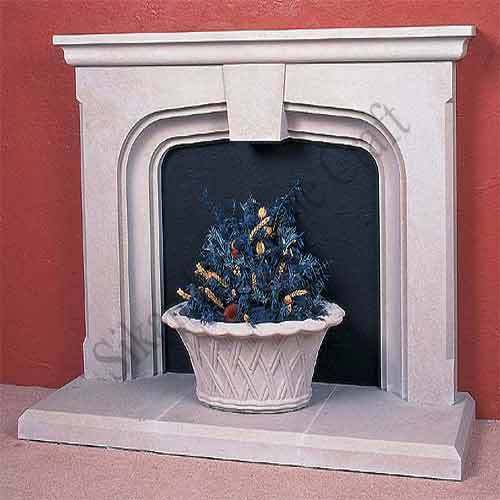 We are well known in the market for our Decorative And Outdoor Fireplace. This hand carved sculpture is an appreciable work of art; this decorative fireplaces feature the sleek designs in alluring colors and is an excellent option for beautifying interior décor with a aesthetically hand made sculpture. Their beauty is capable to hypnotize lovers of Indian art. Add warmth, beauty and style to the decor of your living room, with our outstandingly styled stone Stone Brick Fireplace which provides the perfect atmosphere for social interaction, and watching the dancing flames is a primal and sensual experience. It offers you warmth, ambiance and an inviting focal point in a home. Carved Fire Places fire places come in a variety of shapes and sizes, offering whole-home comfort or little more than an accent. 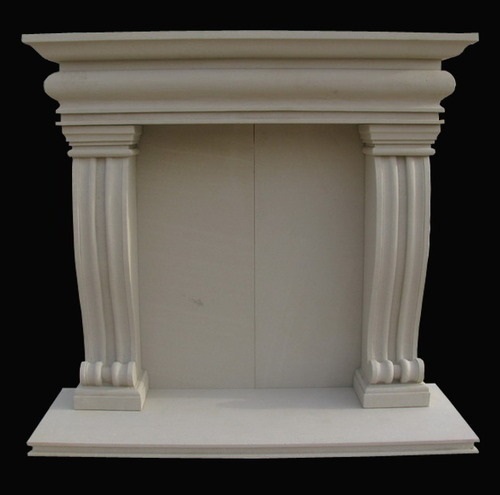 These are fireplaces which are certified for installation in a bedroom or living room and even smaller units meant for installation in a mobile home. They are made with such mundane material as limestone making them highly valuable. 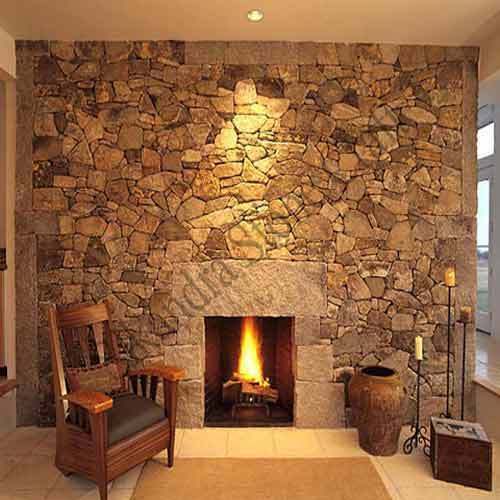 Looking for “Stone Crafted Fireplaces”?